Term Life Insurance vs. Whole Life Insurance: What’s the Difference? 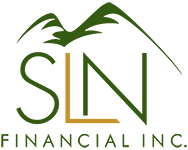 | SLN Financial, Inc.
It’s no secret that life insurance gives a much-needed financial safety net for your dependents if you aren’t around to be there. Mortgages, funeral costs, debt – the list of costs is plentiful. But when you’re deciding on a new policy, do you want whole life insurance, or term life insurance? Let’s outline some differences. As the name conveys, term life insurance provides coverage over a “term”, or certain period. When you buy the policy, you can choose the term yourself – although common terms are 10, 20, or 30 years. Generally, the death benefit and premium stay the same throughout the policy’s life. Lastly, be sure to buy an amount that will cover any income you earn, or services you currently do (like child care). Which is right for you? We’re here to assist you for all-things life insurance. Feel free to call us at [INSERT PHONE NUMBER] and we can help you make the right choice. *Product guarantees are based off of the claims paying ability of the issuing insurance company.